circular designed, unique and stylish. 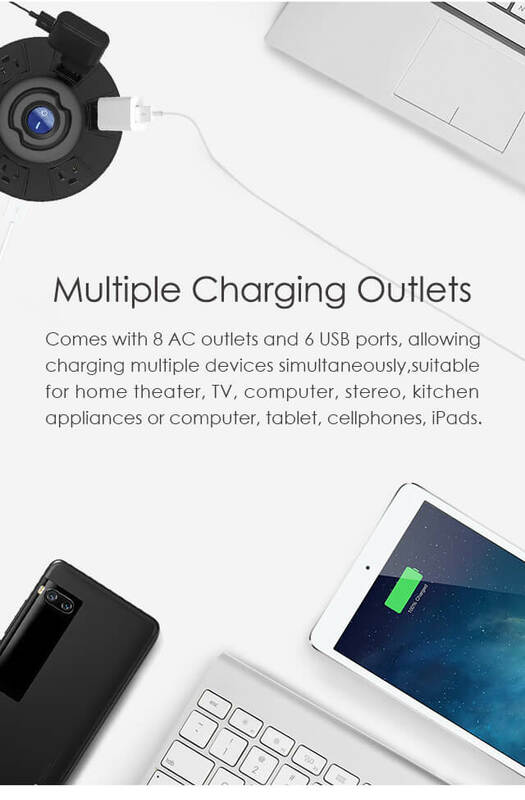 6 AC outlets and 2 USB ports allow you to charge multiple devices including homes appliances and mobile devices at the same time. 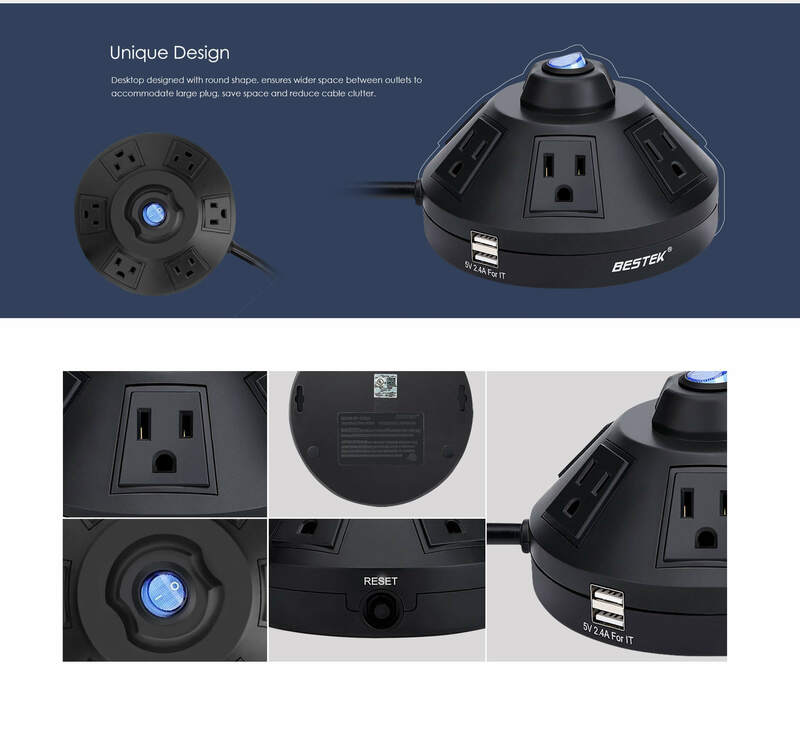 It can support multiple devices charging at the same time, no noise. 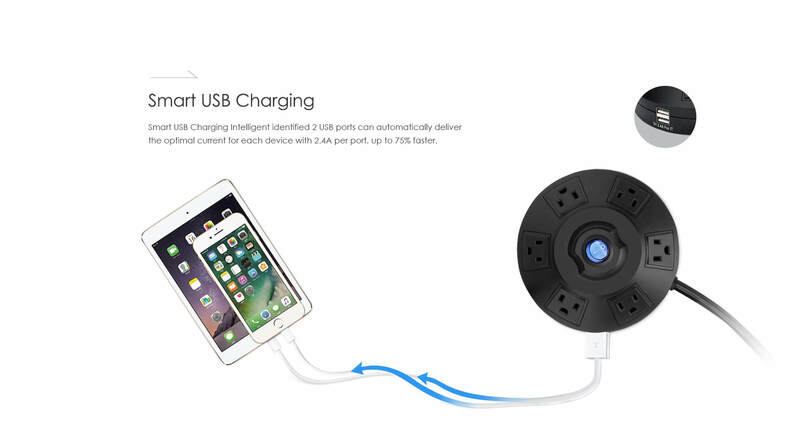 Perfect for charging my laptop, mobile phone, and other devices, I am wondering to buy one more. 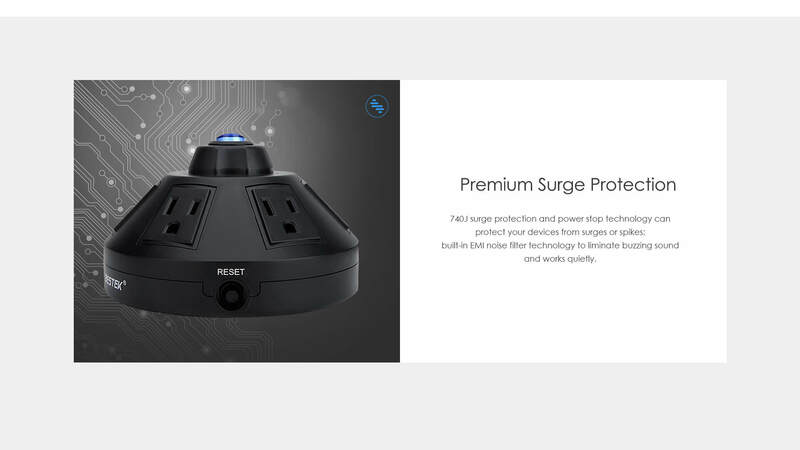 I have used the surge protector for months, its quality is very good and I am very satisfied with it. 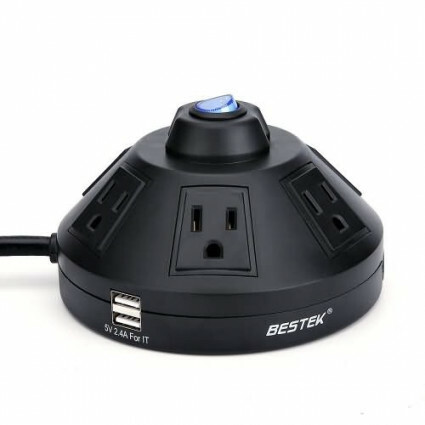 It has proven to be very durable and convenient after I used it for months, nice product. 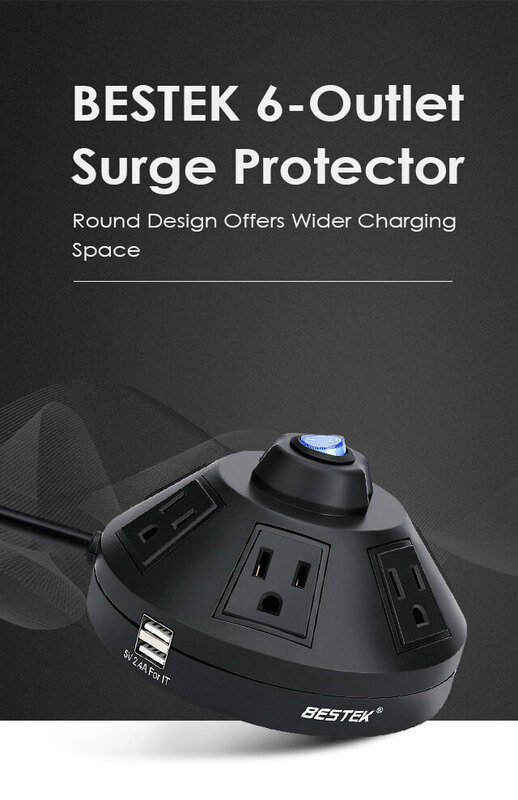 The USB ports are really premium quality made so I feel safe when charging my devices. I love this so much since it works well and never makes noise. 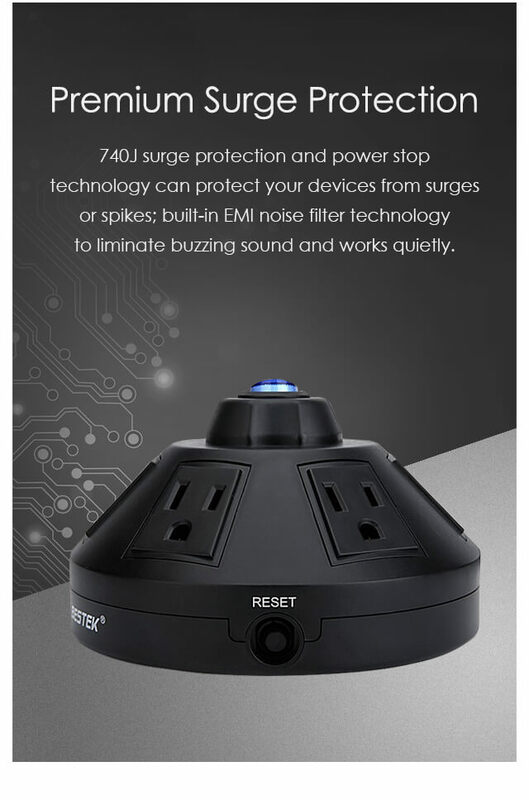 I love this product so much, it is perfect for my alcove, I highly recommended if you're looking for a cost-effective surge protector. Enough ports for all devices and the quality is great. It powers my devices all great and everything works fine. 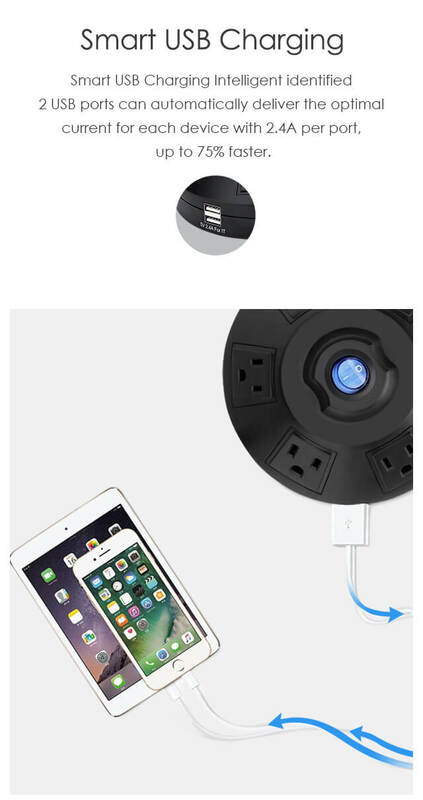 Great, it takes little space and allows for multiple brick plugs.